Move2Play has provided me with these toys in exchange for an honest review. 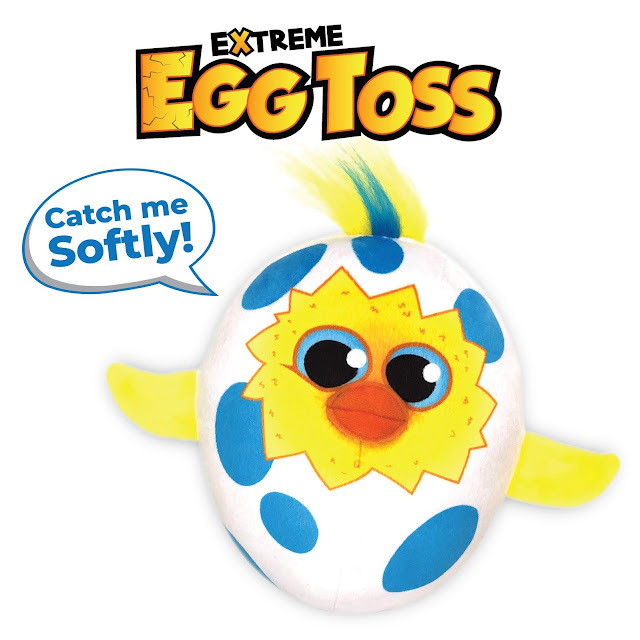 This is Egg Toss and Hot Potato, the fun interactive tossing toys! Egg Toss looks like a baby chick peeking out of a cracked egg. 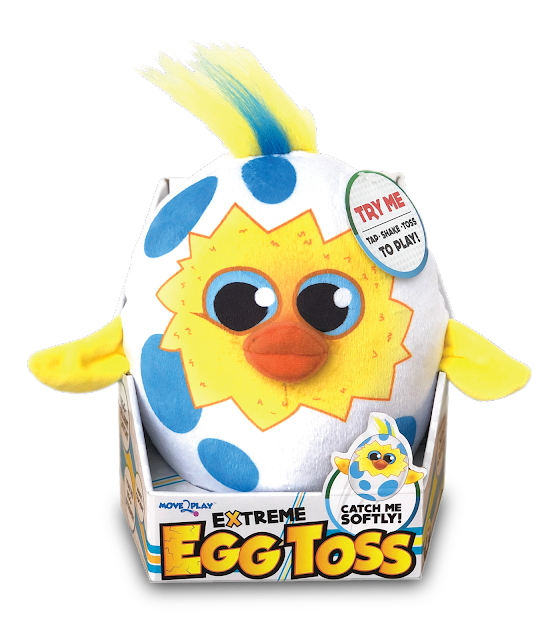 It lets kids play Egg Toss without worrying about the mess. pass it back and forth among a group of friends. But be sure to catch it softly because they egg has smart sensors that recognize how rough you are with it. Catch it too hard and it will "crack". See how long you can toss it back and forth before some one "cracks" the egg. It will also respond during play with over 40 hilarious puns and sounds effects. Provides hours of fun for 2 or more players age 3 and up. Great for birthday parties and indoor/outdoor play thanks to the fact that it is washable. Just remove the sound box and toss it in the washer when it gets dirty. It has a HIGH/LOW volume control and comes with 3 AAA batteries, so it's ready for play immediately. Its chicken and egg theme makes it perfect for Easter! 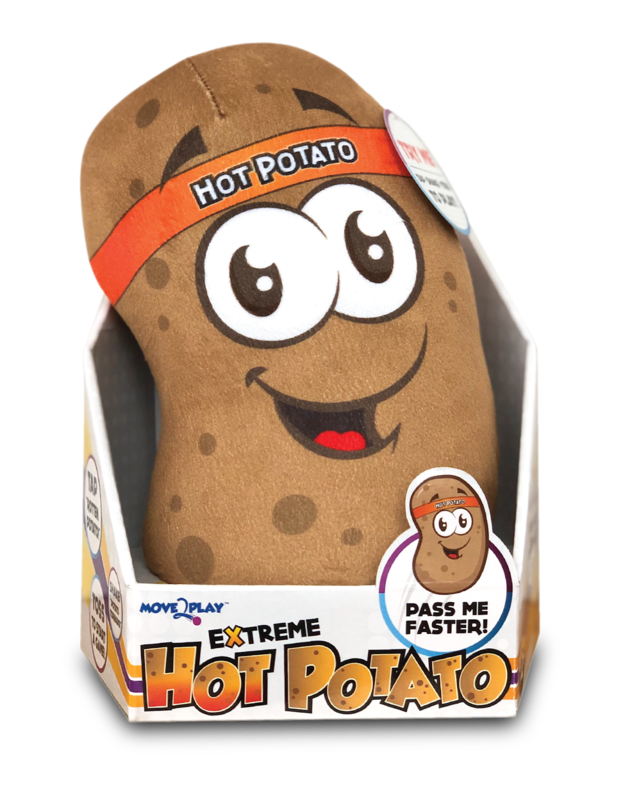 Hot Potato is shaped like a potato wearing a headband. Toss it through the air at an opponent to begin a game. Like the classic game, you need to catch it and pass it on before the time runs out and you are stuck with the Hot Potato. 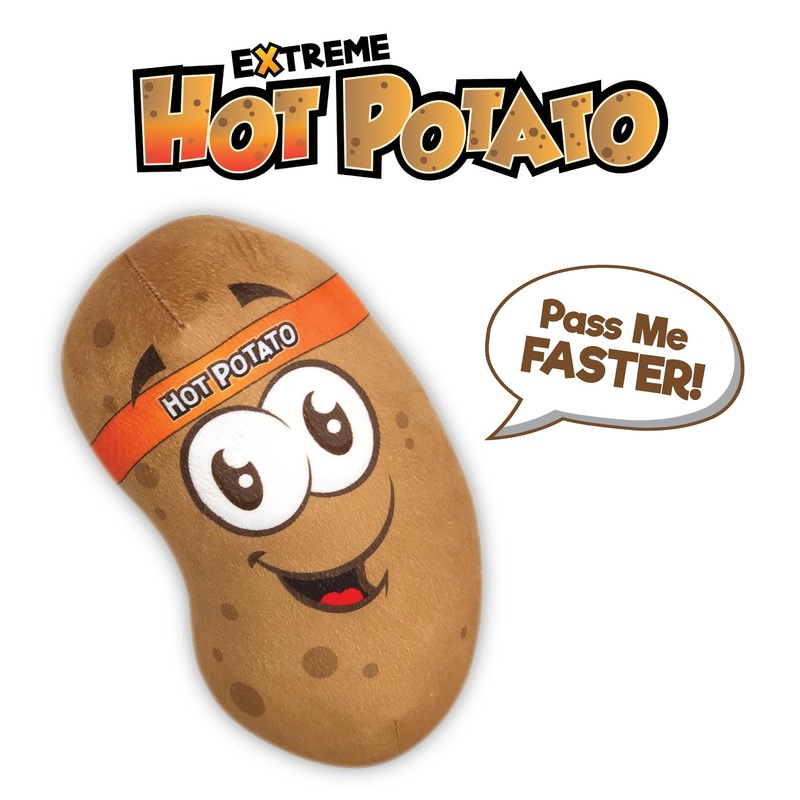 Like Egg Toss, Hot Potato has over 40 sound effects, phrases and songs that are activated by the way you throw it and catch it. It also has a HIGH/LOW volume control, is machine washable and includes the 3 AAA batteries needed for immediate play. It is designed for 3-5 players age 3 and up. 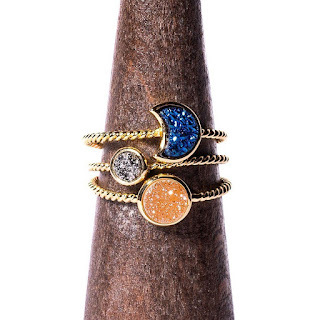 It would also be great for Easter. Both Egg Toss and Hot Potato have a suggested retail price of $19.99 each, but Move2 Play has generously provided a 15% off discount for our readers. Just use this Amazon link and the code will be automatically applied at checkout. Or use the code 15EGGTOSS during checkout to manually apply the discount.